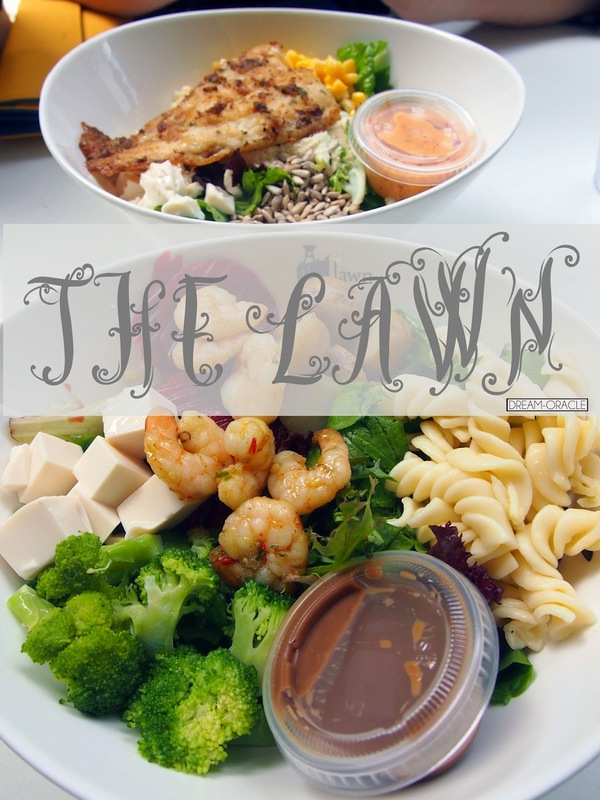 I haven't been on a salad hunt for quite some time and I was recommended to try The Lawn by my friend who worked nearby. We decided to DIY our salad instead of picking their pre-designed bowl. First, you pick 5 vegetables for your salad. Secondly, you decide if you want to add a Grill to you salad. At The Lawn, they call this approach Meat Your Greens, where greens take priority over meats. Butter Seared Pacific Dory with Parsley Rub and Char-grilled Garlic Prawns. Red Island and Honeyball to quirkier dressing flavours such as Manly Mango and Wasahonie. I wish they would explain what goes into these dressing though, especially some of the more quirkier names, I assume Wasahonie has wasabi in it, But what else? 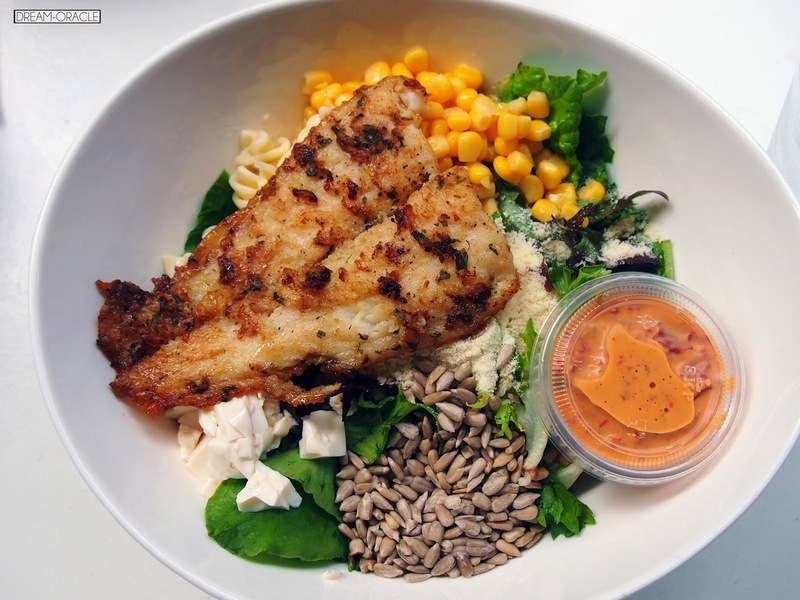 The dressing can determine the flavour of the entire bowl of salad so while it's creative, it should also be self-explanatory so it helps the customers in deciding what to pick. In conclusion, I quite like The Lawn. It was an extremely fulfilling bowl of greens that doesn't burn a huge hole in your pocket. The greens are fresh and the grills are yummy. 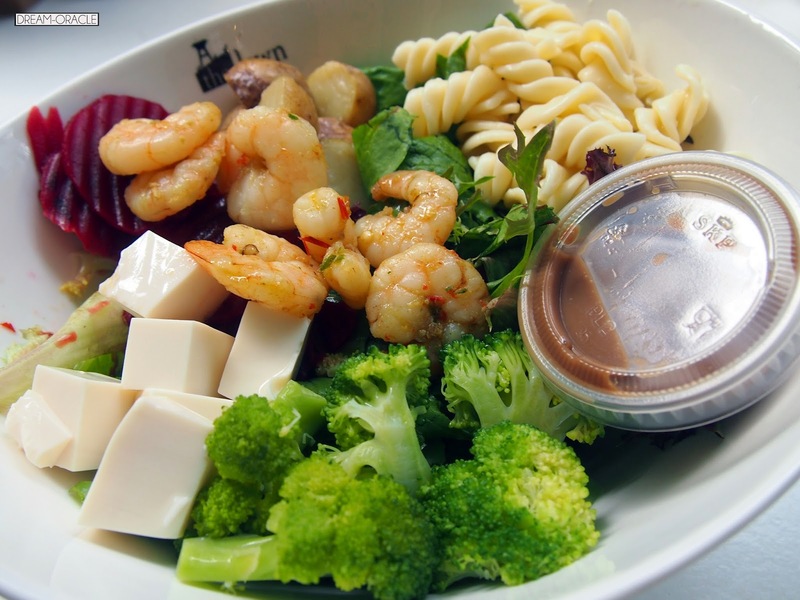 It is enough to tempt me back when I am craving for some healthy food. Why: The location is a little out of the way, but the salad is pretty good. Not as excellent as The Green Bar, but on par.